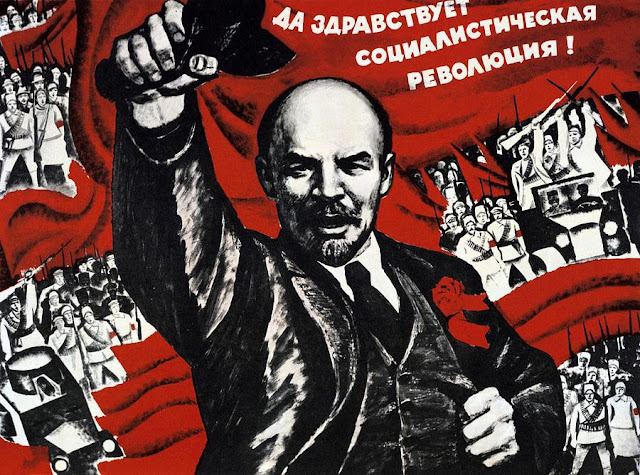 It occurred to me yesterday that November 7th used to be a major holiday for me and my family - an anniversary of the "Great October Revolution", and that this year marks its 100th anniversary. I am thankful that we are not really celebrating this holiday any longer and that even in the former Soviet Union this day is fading into history. I actually remember November 7th fondly. Despite popular beliefs, we were not obligated to participate in demonstrations and festivities of the day. For my family, it was just a day off, a lot like a Memorial Day here in US. Surely, the TV stations (all three of them) were full of patriotic propaganda, but it was an occasion to get together with family and friends for a special dinner and hear some stories from my grandparents. My grandparents were committed Communists who believed in the cause and fought for it. I guess we were blessed that our family was not directly affected by purges of Stalin time, and I recall some fierce debates unfolding between my two grandfathers as to what really went on during that time. I recently read a book Child 44 by Tom Rob Smith that portrays early 1950s of the Soviet Union as a horrible time with no joy and no authentic friendships and relationships. By all accounts of my family, it was difficult time, considering the devastation caused by the WWII and the iron rule of the Communist party, but it was also joyful for people who survived the war and were rebuilding their lives. Overall, my parents, just like baby boomers in US, were better off economically than their parents. Unfortunately, by the time my generation was coming out of age, the Soviet Union was falling apart. I was in my senior year of high school when perestroika started, and suddenly a lot of things that were taught to us as "Gospel" were revealed as monumental lies. It was also a year of Chernobyl, of opening borders and freedom of press, of nationalistic revivals in Soviet republics and of collapsing supply system. I can say that we truly lived "in interesting times" when the Soviet Union disintegrated in 1991, just before its 75th anniversary (or, to be precise, before its 70th anniversary as USSR was founded in 1922). There is this perception that US "won the Cold War" and that was the reason for the collapse of the Soviet Union. I personally don't think so. I think that the socialist idea is flawed to begin with - that every person will happily produce according to their abilities while being an insignificant cog in the government will. We had a joke about the first wave of revolutionaries wanting to fight poverty, but that morphed into Communists fighting wealth by redistributing it. I do believe in fighting poverty and in equal opportunity. But I don't believe in sameness. It amuses me to see a lot of socialist trends rampant in California politics, especially when it comes to education. There is this non-stop talk of "equity" and closing "the achievement gap", which basically translates into trying to make everyone the same, somewhere in the middle, because, let's face it, there are two ways to close the achievement gap, and California is making dang sure that its high achievers are held firmly in place in an attempt to give struggling segments of learners a chance to catch up. 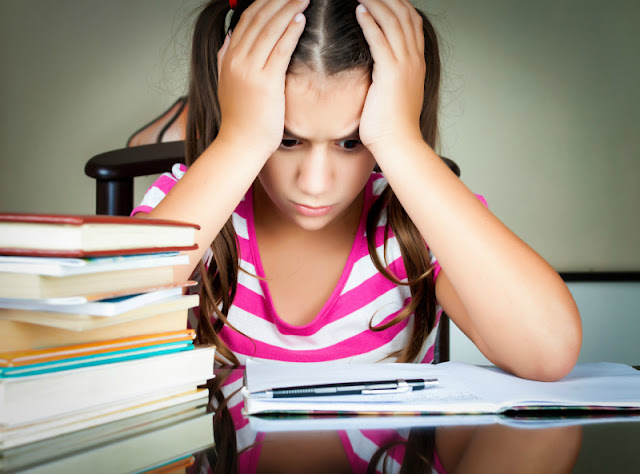 Does closing achievement gap really works? Despite all the money thrown at the problem, it still persists. Honestly, I think that the best way to approach the problem would be to go to year round education and eliminate long school breaks which are hurting children who don't get educational support at home. In the meantime, we are witnessing the flight from public schools when parents are pulling their high achieving children to private schools or to homeschooling, because public schools are leaving these kids behind. But... I am grateful for choice - something that we did not have in the former Soviet Union. The choice is something that drives change, and when there is change, there is hope. Great summary of your family history. Here in America, choice is available only for the privileged. (It didn’t use to be this way.) Personally, privileged people need to pull others up if we are to function as a society. If not, there is tyranny, oppression, and eventual collapse. America’s history is relatively young but if more and more people feel there is no choice in rising above their station due to corruption and lack of opportunities, they will revolt. Communism does not work but neither does pure capitalism. It was very interesting to hear about this point in history from your point of view. I am grateful for friends like you who show me a different viewpoint, and who can teach me more about things I didn't know. I'm trying to think of how to phrase what I was taught on "America winning the Cold War," but it's morning and I've got a bit of a pressure headache, and so I'm really working to type right now. The big things I think we were taught, was America just outspent the USSR, but I totally agree it is hard to get anyone to do their best when they are just a cog in the machine (and like you I don't get the ultra liberals calling for socialism like that because I've seen how it doesn't work from history over and over). I lived in France from 1989-92, so I learned about the Soviet Union through a French lens. There, I learned that destroying freedom never works (a lesson the French themselves learned the hard way on WWII, I would argue. I am okay with public schools not catering to gifted kids, because gifted kids can find a way to be okay. But in a perfect world they would be accommodated, because I think everyone would benefit if they were. I just see other kids who need so much more and aren't getting even a decent basic education. I'm curious about what your own mathematics education was like, particularly when you were Smarty's age. Was it one-size-fits all, or did they have tracks and special schools? I'm curious about the Soviet approach to gifted and talented children. It would be interesting if you did a blog post that compared and contrasted your educational experiences with Smarty's!